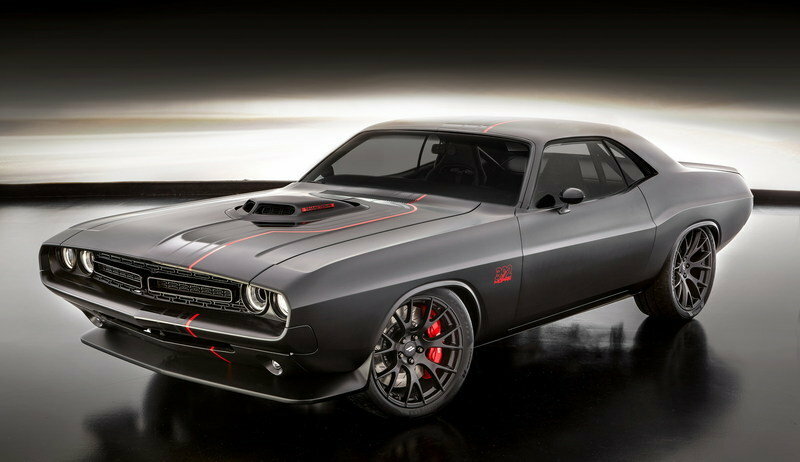 It’s one of the coolest looking concepts at SEMA this year! Chevy has a pretty full booth at this year’s SEMA show, with somewhere around 20 different models there to make our mouths water as we dream of owning each and every one. Out of all of them, one of the more extreme concepts is this Camaro SS Slammer Concept. 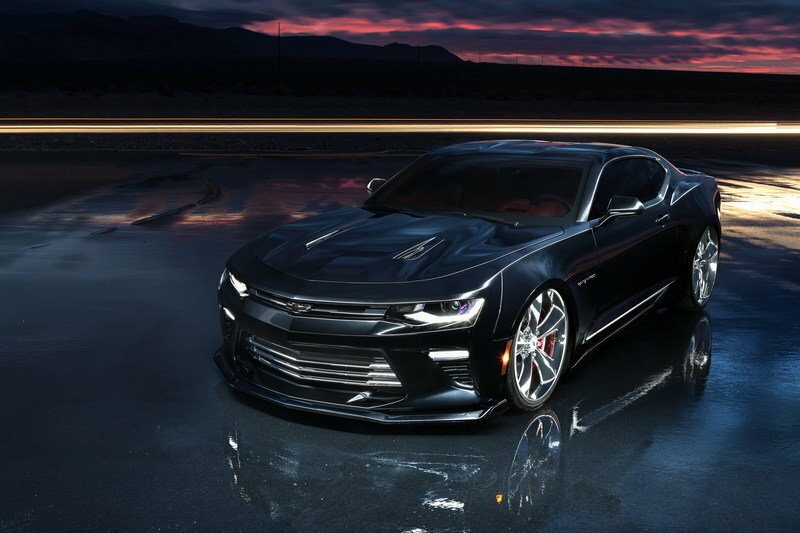 The sixth-generation Camaro that was introduced just this year is already regarded by most as the best-looking Camaro since the first generation, but this concept takes that opinion to a whole new level. With the word “Slammer” used in the concept’s name, you probably already assume it’s a low-rider, but you probably didn’t expect it to be so low. Outside of the dramatic ride height, it comes complete with a custom exterior finish, and a number of Chevy accessories like that awesome ground effects kit. 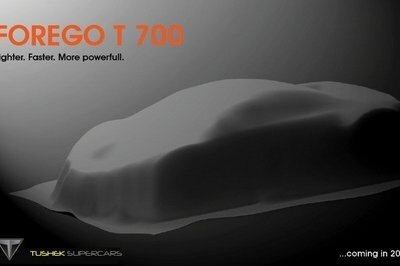 There’s even a little extra under the hood to talk about – now this is what concepts are supposed to be: wild. I’m not sure if endless is the right choice of words, but Chevy has certainly upped is certified accessory game in recent years. The newest range of accessories are also compliant with GM’s new-car warranties, so if they are installed by a GM service technician, there’s no risk of voiding the warranty – certainly a positive benefit of going to Chevy for that little something extra. Before I get too off topic, though, let’s take a better look at this concept – It’s certainly not one you want to miss coming out of SEMA this year. 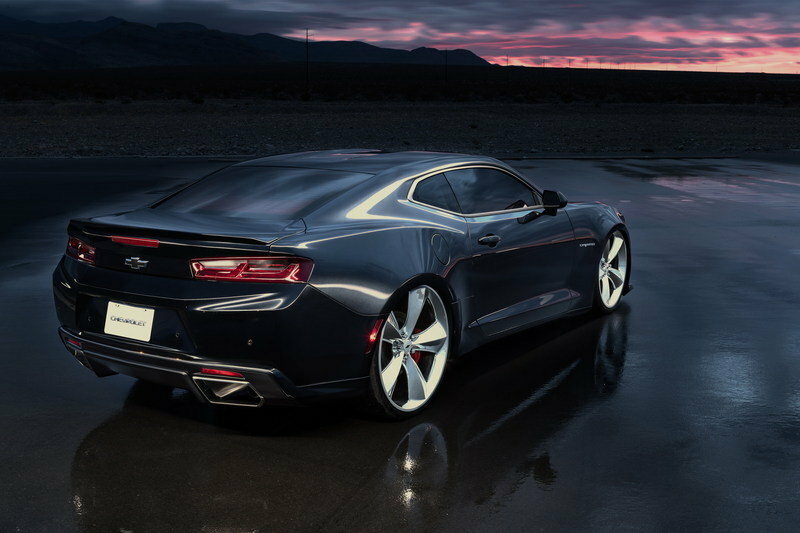 Continue reading to learn more about the Chevrolet Camaro SS Slammer Concept. It’s really hard to pick out a starting point of discussion for the exterior of this concept. The body itself has been painted in Dazzling Black, which uses gloss white flakes to add a sparkly appearance under the right light and angles. This specific finish uses a tri-coat process, so it’s not something that is applied as easily as one might think. To go with this brilliant exterior color, this Camaro concept gets a Chevy Accessories ground effects kit that includes a front lip spoiler and side skirt add-ons. The body itself has been painted in Dazzling Black, which uses gloss white flakes to add a sparkly appearance under the right light and angles. More importantly, however, is the addition of an air-adjustable suspension that puts this baby so close to the ground that it’s ridiculous. That’s right, this “hot rod” is actually a true low-rider in every sense of the term. To accent this extreme stance, the Slammer Concept is properly equipped with a pair of customer 22-inch front wheels and 24-inch rear wheels that are naturally coated in a shiny chrome finish – something I like to call wheels done right. Those wheels are wrapped in 245/30-series, 22-inch tires up front and 275/24-series, 24-inch tires in the rear. To round off the exterior package, the exterior lights in the front and rear have been tinted to go along with the black bowties emblems. It should be noted that you shouldn’t expect to throw a set or 24s on your lowered, but otherwise stock Camaro. Chevy had to carefully modify the body to make them fit. 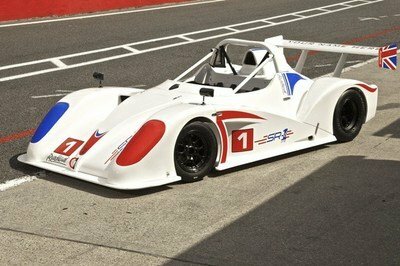 In other words, the rear wheel wells have been cut out and extended on the inside to accommodate such a low stance together with such large wheels. It’s a nice look, and well worth the work, if you ask me. Note: Standard Chevrolet Camaro SS interior shown here. Inside, there really isn’t a whole lot to talk about, but in this case less is definitely more. The Camaro can be had with an “Adrenaline Red” interior, but engineers took this Adrenaline Red to a whole new level by dipping the leather wrapped seats in this color and adding this color to all upper portions of the interior. This should include at least part of the dash, the A-Pillars, rear pillars, possible the upper door trim panels, and maybe even the roof liner. We have yet to see what the interior actually looks like, but you can bet it looks great and amazingly contrasts with the Dazzling Black exterior finish. 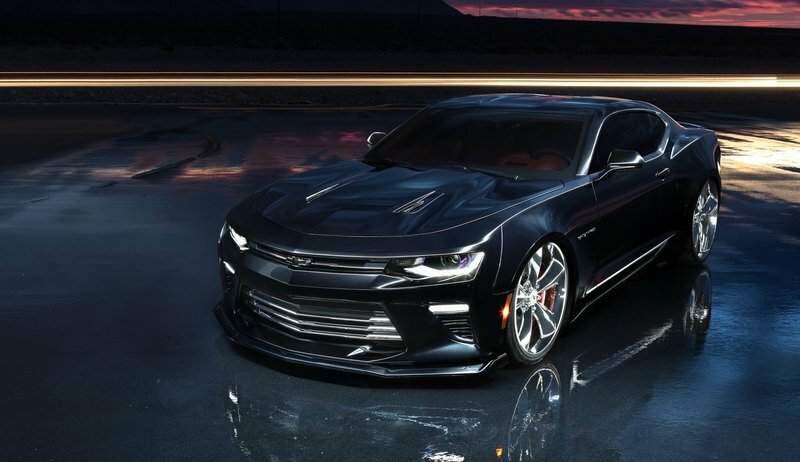 Under that muscular and intimidating hood, you’ll find an LT1, 6.2-liter, V-8 that is rated at 455 horsepower and 455 pound-feet of torque. 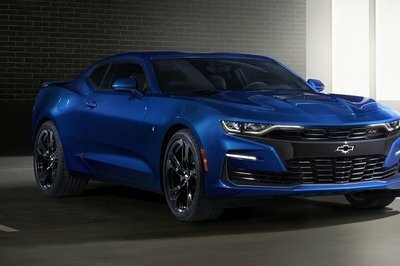 Chevy knew better than to put this kind of work into a four-banger Camaro, and it’s a good thing it did. What’s more is the fact that it also gets an axle-back stainless steel exhaust system from Chevy Performance that reduces system backpressure by “up to 25 percent” and comes complete with polished four-inch tips (Giggity.) There’s also something that Chevy calls Active Noise Cancellation when equipped with a Bose audio system with is supposedly tuned to “let the exhaust growl come through.” There’s no word as to how much extra power or torque is added with the addition of this axle-back exhaust system, but it might get a few extra ponies and a few extra pound-feet on good days. To go along with the overall look, the brake system has been upgraded with a Brembo front brake kit from Chevy Performance. The appearance of the engine bay includes a custom-panted engine cover from Chevy Performance and custom close-outs for the engine compartment panels. Personally, I’d rather have a full view of the engine bay myself, but if you like a clean look and lots of plastic, I guess that’s a pretty nice addition. For some people, it’s all about appearances anyway, right? 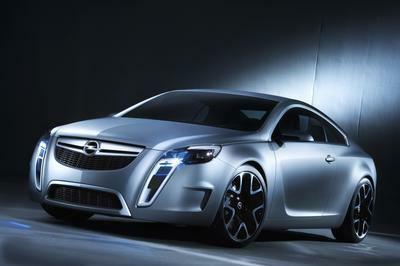 Out of all the concepts we’ve seen come out of the SEMA show this year, this one is hands-down my favorite so far. But, it’s not the only amazing concept that has really snagged my short attention span. There’s also a Dodge Shakedown Challenger that gives this Camaro Concept a real run for its money and a Dodge Shakedown Durango that has three rows of Viper seats to go with a sporty Challenger hood. Talk about two insane muscle cars. The Dodge Shakedown Challenger (left) really wants to have it out with the Camaro Slammer (right.) Which one do you like best? 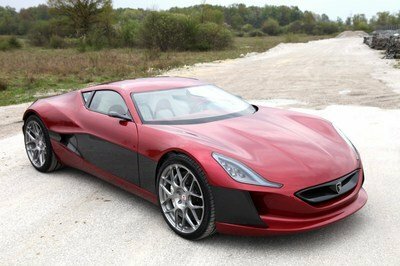 You’ve really got to hand it to the American manufacturers for their turn out of unique and noteworthy concepts this year. Tell me you wouldn’t love to see the Challenger and the Camaro above duke it out on a long, empty airfield. Sounds like a job for The Grand Tour trio don’t you think? Feed us your thoughts in the comments section below – surely there’s something you’re excited about coming from SEMA this year. Where’s the massive blower that this car deserves? Inspired. That’s how Chevrolet designers want Gen 6 Camaro owners and other enthusiasts to feel when they view the all-new 2017 Camaro SS Slammer concept.